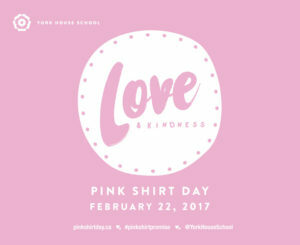 This month, as we’ve been celebrating love in all its forms through Valentine’s Day and Pink Shirt Day, it’s heartening to remember that our school was founded on the values of kindness, friendship and appreciation of others. These words have just as much, if not more, relevance now as they did 85 years ago. Here’s to the enduring wisdom of our founders in emphasizing the importance of values that act as glue for our strong community and a recipe for happiness! Ita Kane-Wilson and Ellie Zygmunt, admissions counsellor/mentorship coordinator travelled to Ottawa on January 23rd for dinner with alumnae. Chapter Chair Gillian (Johnson) Cartwright ’03 and Madeleine Lyons also from the Class of 2003 hadn’t seen each other since graduation so they had a lot to catch up on. 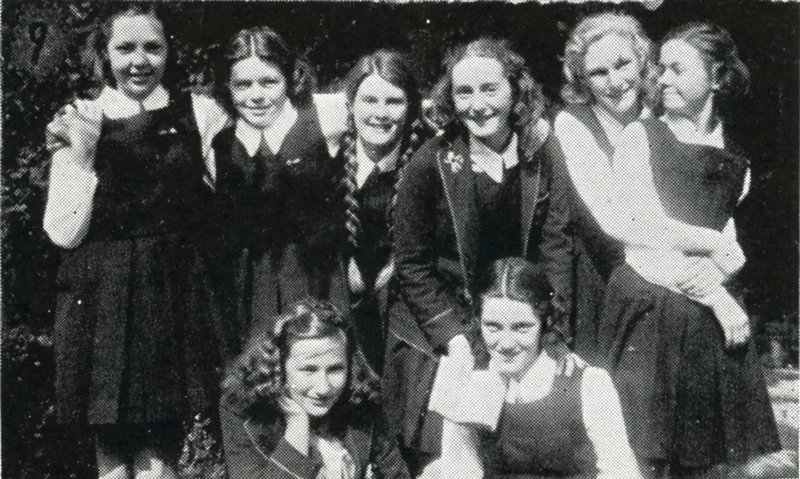 Madeleine was in flying form and regaled us with fascinating stories about her work with the Red Cross. She talked about her emergency preparedness kits and how she has three backpacks ready to go at all times; one in her car, one at home and one at work. She talked about how little containers of skin cream and lip balm are important as they make you feel semi-normal even though you’re in a crisis. Helen Cassie ’16 also joined us and she’s enjoying life in Ottawa and interning currently with Dr. Hedy Fry, MP for Vancouver Centre. It was also wonderful to see Taneisha Dunham ’15 and hear about her continued involvement with her sorority at Carleton. She also loves her volunteer work and feels blessed to have found her community there. Onto Montreal from Ottawa and the weather was starting to deteriorate. The city endured a winter blizzard that morning but we were impressed with how quickly streets get cleared there. We met our recent grads at an Indian restaurant on Boulevard St. Laurent and after a delicious meal (along with the necessary leftover takeout bags!) and lots of chatter, we bundled ourselves back out into the cold and onto Kingston. 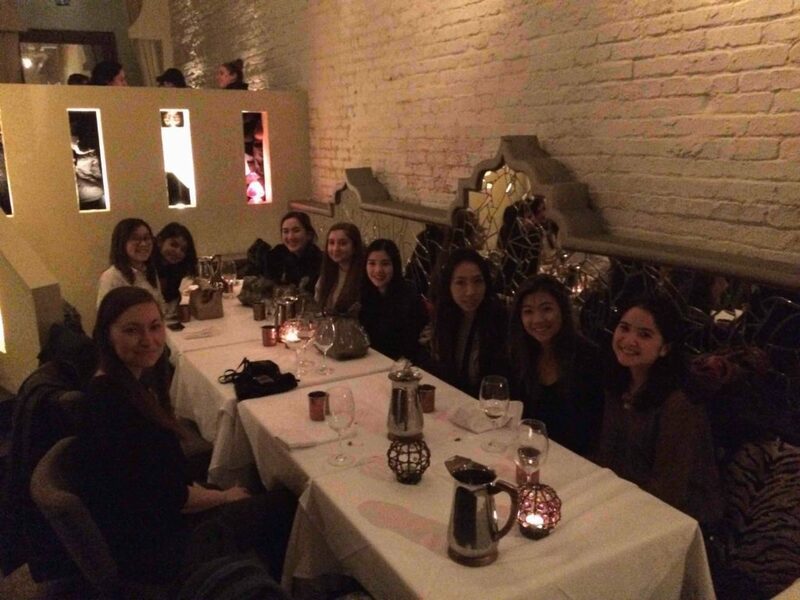 From London, we headed to Toronto and to Golnar Khosrowshahi’s home for the YHS reunion. Golnar from the Class of 1989 always does an amazing job hosting this event and we always feel very welcomed and cared for. She’s a very humble person and doesn’t like to talk about herself. We had to fill in the gaps for everyone. Come and have breakfast with your fellow alumni parents! 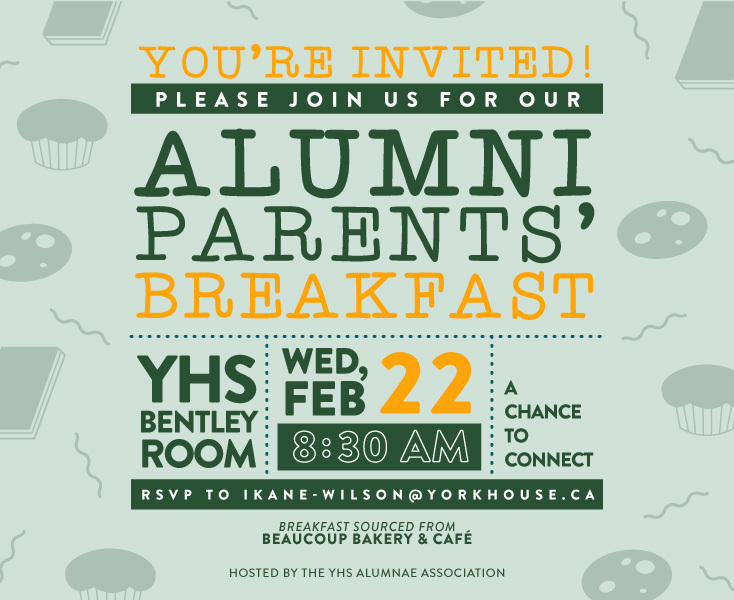 This is the YHS Alumnae Association’s 2nd annual alumni parents’ breakfast event and they are excited to see you. 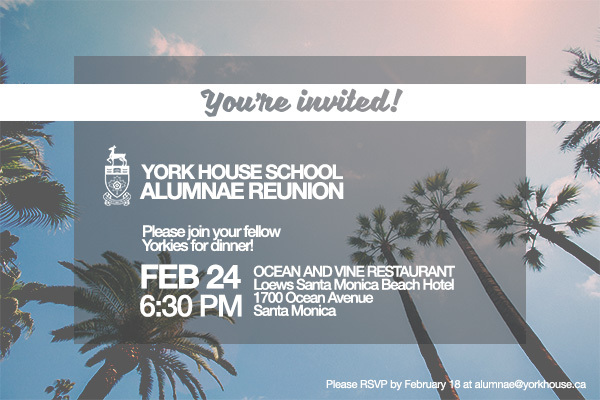 If you’re a current parent and also a Yorkie, an alumna/alumnus who went to school here, you’re invited. Check your email. The invitation is there.